Rachel Morrison, ASC focuses on the humanity at the heart of this action-packed Marvel adventure hit. Unit photography by Matt Kennedy, courtesy of Marvel Studios. Somewhere in Africa sits the hidden, secretive kingdom of Wakanda, which is rumored to be the richest and most technologically advanced nation on the planet thanks to its massive deposits of vibranium, a rare meteoric ore with energy-manipulating qualities. Another legend tells of the ancient Black Panther cult and its chieftain-king, the Black Panther himself, who for centuries have fiercely protected Wakanda’s culture and resources. Directed by Ryan Coogler and photographed by Rachel Morrison, ASC, Marvel Studios’ Black Panther picks up after the death of Wakanda’s isolationist King T’Chaka (John Kani) during the events of Captain America: Civil War (AC June ’16). T’Chaka’s son T’Challa (Chadwick Boseman), the current Black Panther, returns home to take his rightful place on the throne, but his rule is contested by Erik Stevens, aka Killmonger (Michael B. Jordan), a powerful rival who emerges from hiding to seize Wakanda’s vast natural wealth and — with the help of South African arms dealer Ulysses Klaue (Andy Serkis) — use it to conquer the world. Faced with danger on all sides, T’Challa must team up with CIA agent Everett K. Ross (Martin Freeman) and the Dora Milaje — Wakanda’s all-female special-forces team — to defeat his enemies and preserve his people’s way of life. Having steered clear of superhero and effects-heavy projects prior to Black Panther, Morrison was faced with a mountain of technical prep before starting her work on the production. 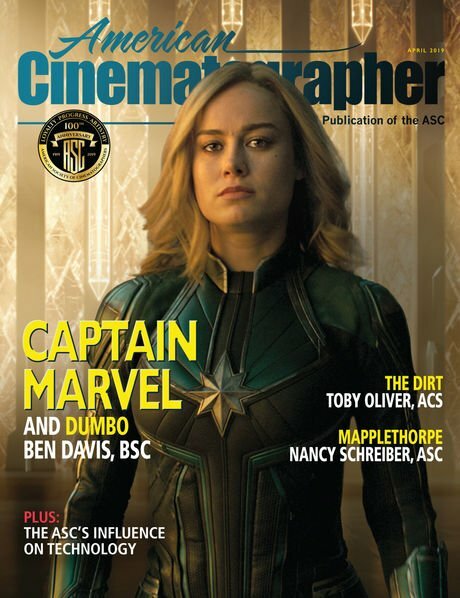 As she relates, her first bit of homework involved catching up on all of Marvel’s movies, after which she sought the advice of cinematographers who had photographed features on that scale — such as Ben Davis, BSC, who was behind the camera for Guardians of the Galaxy (AC Sept. ’14), Avengers: Age of Ultron (AC June ’15) and Doctor Strange, as well as Trent Opaloch, who shot Captain America: The Winter Soldier, Captain America: Civil War (AC June ’16) and the upcoming Avengers: Infinity War. Morrison frames up the camera. 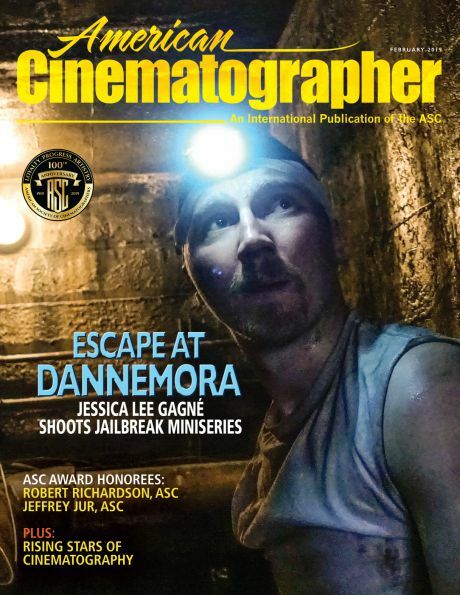 Shooting on the two-level underground Korean casino set, built within Stage 7 at Screen Gems. 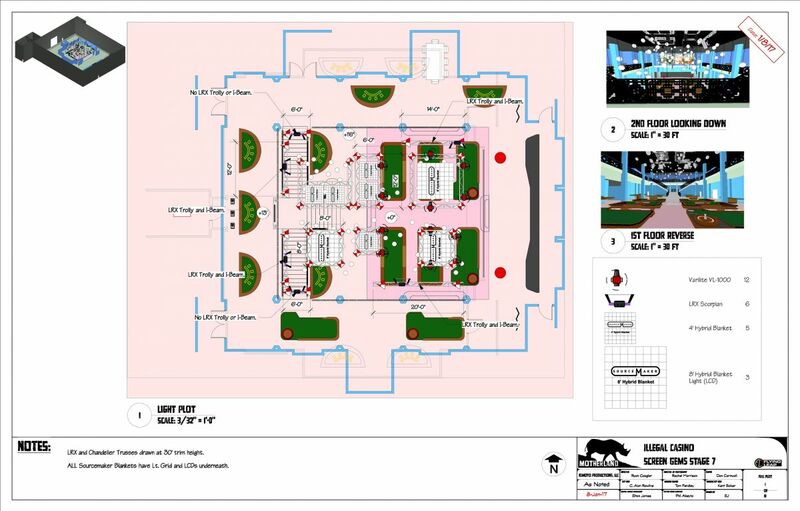 The lighting plot for the elaborate casino set. When it came to deciding the origination format, Coogler and Morrison tested every option, including film. Ultimately, for expediency in post, the decision was made to capture primarily in 3.4K ArriRaw with Arri’s Alexa XT camera, which Morrison paired with Panavision Primo spherical primes and zooms. For any lenses that didn’t cover the XT’s Open Gate frame, specifically the 14.5mm and 17.5mm focal lengths, Morrison replaced the standard Primos with their updated, digitally adjusted Primo V equivalents. The production also carried a 1.13x V Expander, which increased the image circle of those aforementioned wide lenses — as well as the image circle of the 19-90mm T2.8 PCZ and 24-275mm T2.8 SLZ11 zooms — to a 33.5mm diagonal image. The production framed for a 2.39:1 final release while also protecting for a 1.9:1 Imax frame. “The last four or five films I shot were anamorphic, and I was interested in anamorphic for this, but because Ryan had only shot spherical and there was such a huge learning curve for everything else on the show, he asked that we stick with a lens format that he knew well, and I happily obliged,” Morrison explains. Nakia (Lupita Nyong'o), along with T'Challa and Okoye, goes undercover. The story takes its characters to a number of real-world locales, including New York, London and Busan. 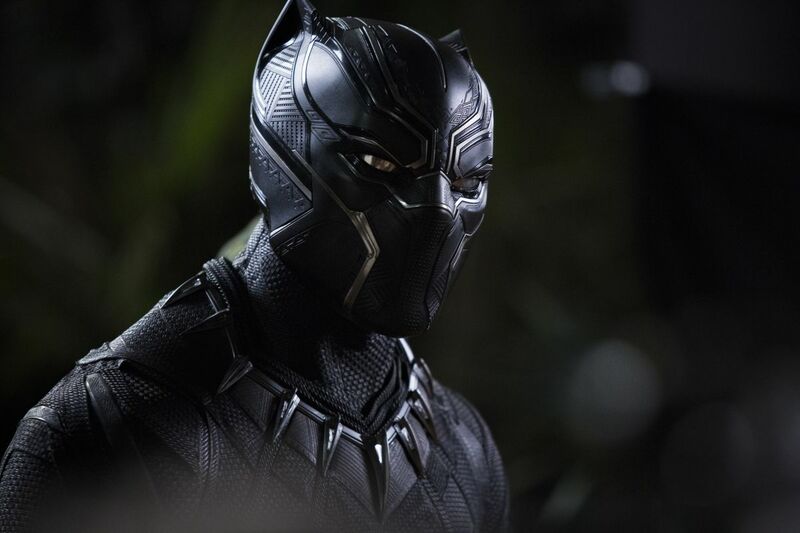 While the production did travel to the latter city in South Korea, the bulk of the movie was actually photographed in and around Atlanta, Ga., where the fictitious nation of Wakanda was shaped from scratch. “One of the downsides of working on location so often is that you don’t always get to work with the same crew or develop a shorthand,” says Morrison. “The upshot of that is you get to meet many incredibly talented people.” In Atlanta, Morrison worked with local gaffer Dan Cornwall and key grip C. Alan Rawlins, who brought a trusted local crew to fill out the production’s massive roster. First AC Zoran Veselic and 2nd AC Craig Bauer — both of whom had previously worked with Morrison on Cake and Confirmation — were distant hires out of Los Angeles. Part of the action was captured using this vehicle-mounted multi-camera Red array. For grand-scale visual reference, the filmmakers studied the BBC’s Planet Earth documentary series, Ron Fricke’s Baraka and Samsara (AC Sept. ’12), and Terrence Malick’s The New World (AC Jan. ’06). 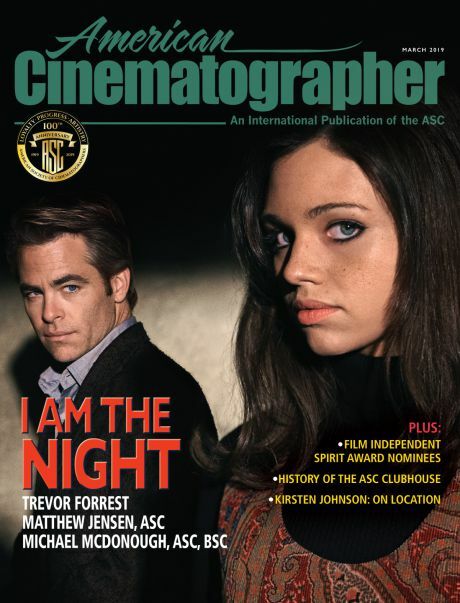 They watched movies about families, like The Godfather, and revisited the intimate, subjective camerawork of one of Coogler’s cinematic inspirations, A Prophet (AC March ’10). They even looked at the Chef’s Table episode that features Alex Atala. As for other superhero films, “If there was one that we aspired to, it would probably be The Dark Knight [AC July ’08], in the way it conveys a humanism on a large scale,” says Morrison. She provided Beachler and costume designer Ruth Carter with a photographic look book incorporating examples of deep light shafts, contrasts and color saturations, and in return Beachler and Carter shared their palettes and textures. Nakia and Shuri (Letitia Wright) join the battle to defend Wakanda. In bringing Wakanda to life, the filmmakers considered the fictional country’s geographical location, architecture, light, fashion and culture. Afrofuturism, an aesthetic and philosophy addressing the themes and concerns of the African diaspora through a perspective of technology and science-fiction, played an important role in the film’s design, impacting everything from color palettes to the geographic orientation of the sets. Morrison points to Wakanda’s circular motifs as one example. “It had been decided long before I came along that the theme of Wakanda is circular, because everyone is the same distance from the center; everyone is equal,” she explains. Many of the film’s elaborate sets, including the Wakandan High Council chamber, were built at EUE/Screen Gems Studios in Atlanta, while all of the film’s big exterior set work, including Wakanda’s Warrior Falls, was shot at the OFS fiber-optics plant north of the city. The Wakandan High Council chamber. Fortunately, she and Cornwall were granted ample time to prerig their sets and locations with rigging gaffer Tom Fendley. For some, such as the United Nations — in fact an Atlanta municipal building — they swapped out bulbs and added fixtures; for others — such as Atlanta’s High Museum of Art, which double for the British Museum — they placed everything from the floor. In either case, nearly everything was run through the console. 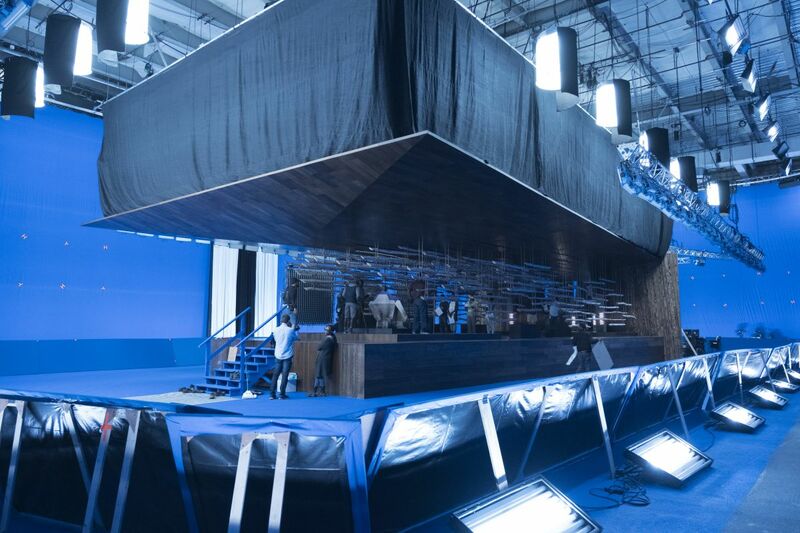 The crew readies the bluescreen set for the throne room of the Jabari Tribe, who oppose T'Challa's rule. “On location, fixture foreman Phil Abeyta and the off-set dimming crew — the ‘nerd herd’ — would exchange house bulbs with color-correct dimmable LED bulbs from Quasar Science,” Cornwall explains. “The rigging team would track down which breakers controlled which fixtures, and they would then disconnect the wiring and feed our dimming cable to each circuit. Through wireless DMX and silent RatPac dimmers, we were able to control the level of the house lights. In his full Black Panther garb, T'Challa continues his pursuit. In addition to intimate, character-oriented moments, Black Panther roars with action. One of the film’s key action sequences is a nail-biting nighttime car chase between Klaue and Black Panther through the streets of Busan. Morrison conceptualized the sequence with Coogler, blending the intense subjectivity of The French Connection, the technical precision of Drive, and the rollercoaster thrills of Bullitt, then delegated its execution to 2nd-unit director Darrin Prescott and cinematographer Igor Meglic, ZFS, who captured the action over a nine-day shoot with Alexa XTs and Minis, Red Weapon Dragons, and Canon C300 Mark IIs. Prescott also helmed the Atlanta splinter unit, working with cinematographer Bruce McCleery. An elaborate fight sequence inside a two-level casino was staged at Screen Gems. 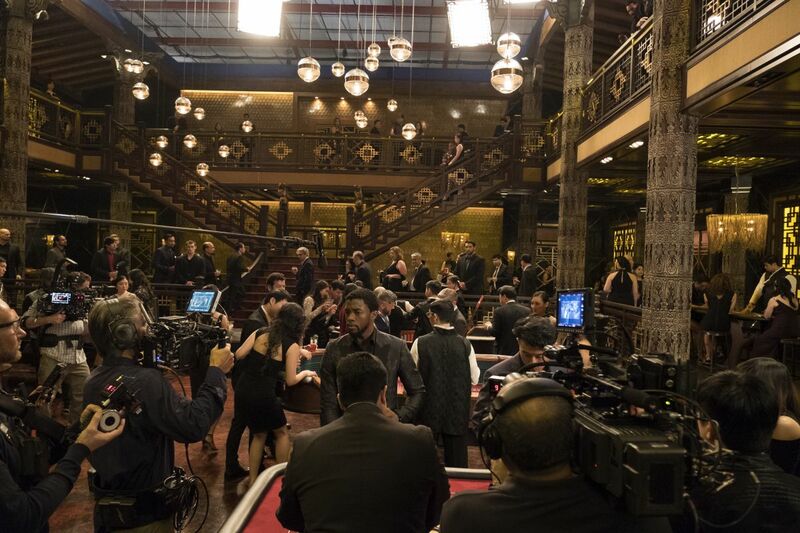 In this scene, T’Challa and Dora Milaje warriors Nakia (Lupita Nyong’o) and Okoye (Danai Gurira) are undercover at an underground casino in Busan when it’s raided by Klaue and his henchmen. Coogler and Morrison set out to cover the entire sequence in a “oner,” reminiscent of the long, fluid takes in Creed (photographed by Maryse Alberti; AC Dec. ’15). However, Morrison points out, “that film followed one character, while Black Panther is an ensemble,” and so ultimately the filmmakers opted to cover the scene in addition to getting their single take. 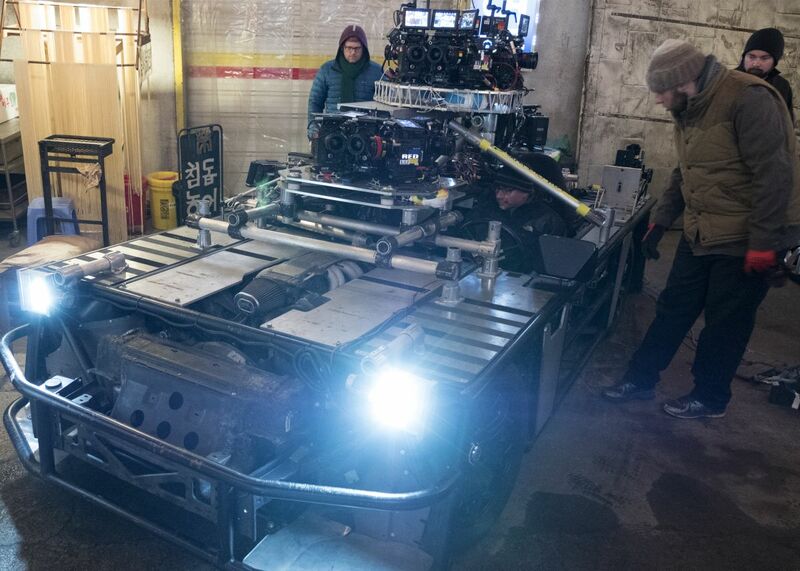 Technicians at CineMoves’ Atlanta facility custom-designed a quick-release system for Freefly Systems’ Movi Pro as well as a Spydercam rig, allowing A-camera operator P. Scott Sakamoto — who remote-operated an Alexa Mini on a Movi Pro carried by A-camera dolly grip Darryl Humber — to follow the action between the casino’s first and second floors, while B-camera operator Thomas Lappin and up to two additional 1st-unit camera teams covered the action with handheld XTs. Morrison had the casino lit almost exclusively from practicals that had been rewired by Abeyta’s fixtures department; the practicals were supplemented by overhead lighting: 12 Philips Vari-Lite VL1000s and six LRX Scorpions, with 4'x4' and 8'x8' hybrid Blanket lights diffused with Light Grid and soft egg crate providing the ambience. Working on a stage in Atlanta, the cast and crew ready a bluescreen-surrounded African "exterior." One of the production’s more challenging action sequences was set in the Wakandan jungle at night, but was photographed on a stage at OFS. Beachler’s art department used real trees and foliage to hide the factory’s walls and cement columns, creating the illusion of a lush African jungle. In this scene, Black Panther uses an electromagnetic pulse to short-circuit a truck carrying a team of mercenaries; this plot point precluded the use of vehicle headlights as a motivating source in the dark clearing. Without enough room on the ground or in the low-hanging temporary lighting grid to set up a single moonlight source, Morrison relied on 112 Arri SkyPanel S60-Cs — eight units on 14 trusses — that could be used as needed, depending on which direction the camera was pointed, to imply a single source. “It was the first time I’d used so many ‘moons’ to look like one moon,” she says. Additional moonlight ambience was provided by 10 8'x8' soft boxes fitted with Sourcemaker Hybrid LED tubes hung along the dirt road that wound through the forest, and 23 Mole-Richardson Vari-Space LEDs hidden in the trees. “Long linear lines of SkyPanels provided the deepest backlights for the trees,” Cornwall adds. “Arri L10s [were used] for harder backlights for the action scenes.” Martin Atomic 3000 LED strobes gelled with Full CTS and 1⁄4 Minus Green were used to create the mercenaries’ gunfire, which contrasted with the overall 4,000K ambience that Morrison and Cornwall established for the set. Smoke atmosphere and water sheen added texture, and visual effects extended the background where necessary. T'challa and Killmonger battle in Wakanda. Halfway through the movie, Black Panther’s suit gets an upgrade that stores kinetic energy from a punch or a kick; the effect is visible in the form of a blue or purple source on the surface of the suit. The onscreen effects were accomplished in post, but Morrison had reference passes photographed in-camera using a custom LED vest designed by Abeyta and his crew so Baumann and his digital artists could see how the light affected the surrounding environment. 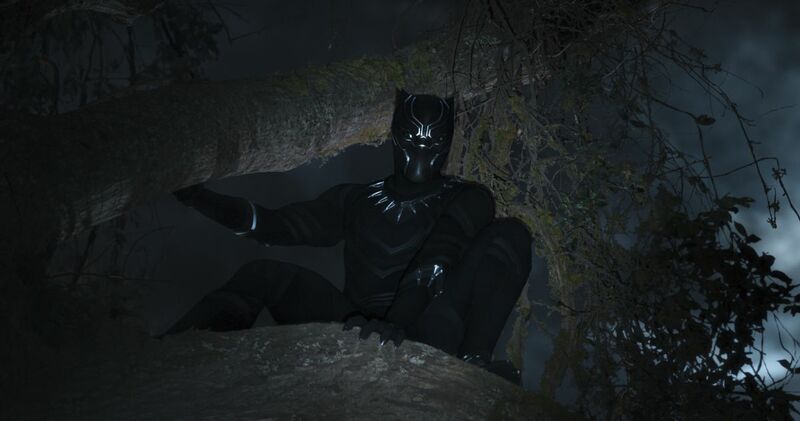 “The goal is that when the actor is replaced with the visual-effects Panther suit, it’s under the same lighting conditions as the real suit,” Morrison remarks. 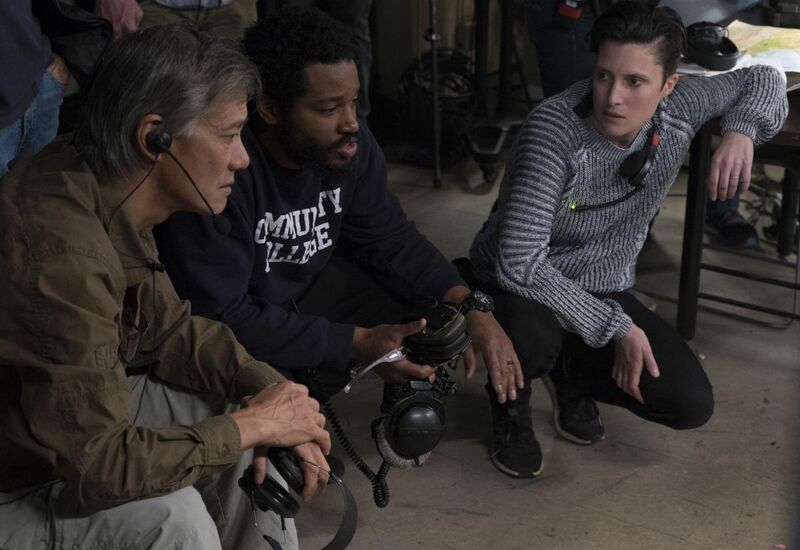 Camera operator P. Scott Sakamoto, director Ryan Coogler, and cinematographer Rachel Morrison, ASC discuss a scene. Dailies for Black Panther were handled by Élodie Ichter and Fergus Hally at Shed Atlanta using a custom ACES workflow LUT, and the final color grade was performed by Technicolor senior colorist Maxine Gervais working in 4K resolution on a FilmLight Baselight system in Los Angeles. Much of the grade involved blending the live-action and visual-effects elements together, and enhancing the work done on set, smoothing out the color and contrast between each shot using vignettes and power windows. This was Gervais’ first collaboration with Morrison, and the colorist reports, “It was easy to get a feel for what Rachel was after. Overall, she’s sensitive to contrast and shadows, and she has a great eye for it. regarding her ASC and Oscar-nominated work on Mudbound.